Guest Post for Peepoc: Has David Cameron handled the refugee crisis well? 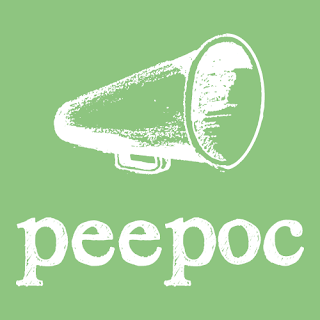 My first guest post for the Peepoc blog. The original article can be found here. The refugee crisis in Europe has just got very real for many people in the UK. The shocking image of three-year-old Aylan lying dead on a Turkish beach has made Britain wake-up to the genuine plight of these people. The papers have finally realised the difference between these refugees and migrants – migrants “want” to come here, but refugees “need” to. Migrants certainly don’t risk their lives to try and reach Europe, but refugees are forced to because they have no other choice. A petition for the crisis to be debated in parliament has now reached over 200,000 signatures, but while public opinion seems to be in favour of taking more refugees the Prime Minister has failed to act decisively. The government still talk of tackling the root causes of the problem – which, in this blogger’s opinion, means refusing to rescue a man from a burning building until after they’ve discovered how to put out the fire. On Wednesday, the Prime Minister said the UK shouldn’t take any more refugees from Syria, but on Thursday afternoon, he promised that the UK will fulfil its “moral responsibilities” after being “deeply moved” by the image. Will this involve taking more migrants? Only Mr Cameron can know that. But the Prime Minister’s handling of the issue has made his decision-making skills seem poor. Politics is often about making unpopular decisions, and he’s in a difficult position – one way he upsets the EU leaders he’s trying to renegotiate with, the other he upsets a large proportion of his party and risks its unity, but either way he’s going to upset parts of the public. The longer Cameron flip-flops, the more incapable he seems and that can only damage him in everyone’s eyes. Has David Cameron handled the refugee crisis well? Has David Cameron handled the refugee crisis well?